Bred to TB Midnight Summers Dream, Rachael is a lovely black mare that we have recently purchased. She has some of the same bloodlines as our herd, but come to us from a different angle. 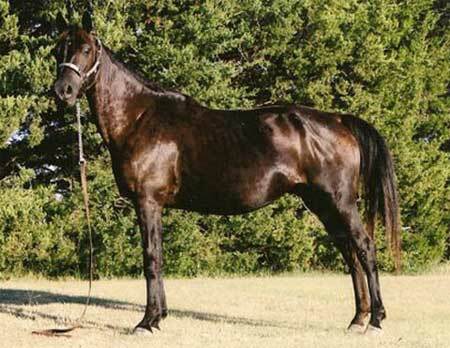 There is a little Funquest, Wyoming Flyhawk, and quite a bit of Caduceus that grace her pedigree. She has produced some very fancy foals through the years.